Earth Day is a fun day – not only do you get to honor the earth, but you can do so with whimsy. I combined cute ideas from a few blogs to come up with my celebration dessert. It wasn’t baked but it was filled with superfoods (cacao and hemp are superfoods) so I honored myself as well. Because the already vegan dessert wasn’t baked it had no required changes. 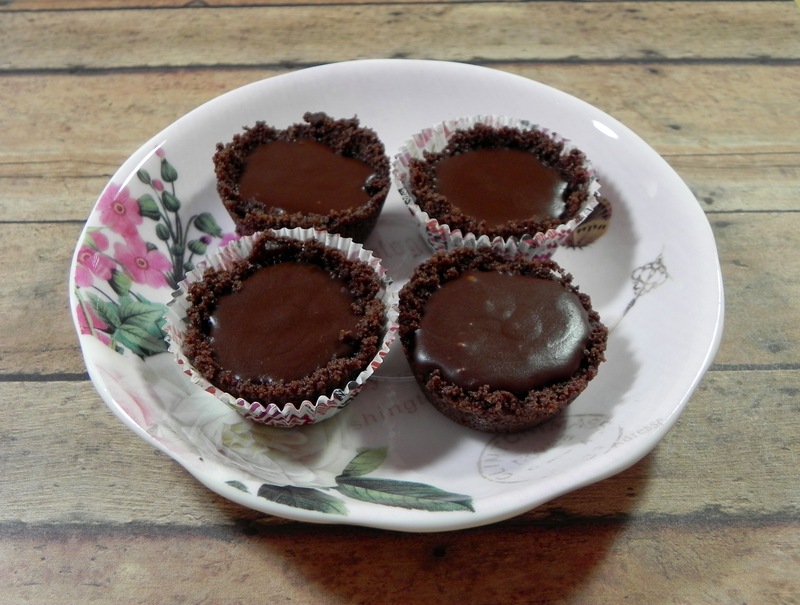 The alterations I made were to add baking extracts and more cacao to deepen the pudding flavor. Also, the pudding recipe called for cocoa powder but I used raw cacao powder instead to up the nutritional value. 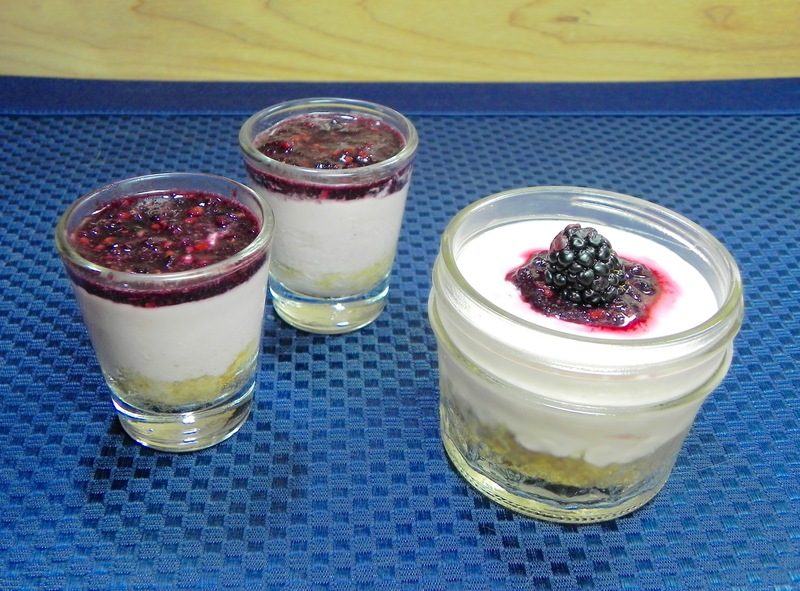 I grabbed ideas from a few websites to make my version of a dessert worthy of Earth Day. Put almond milk, banana, maple syrup, extracts, and cocoa powder in a blender and blend until smooth. Put 1/4 cup of the mixture aside and pour the remainder into a small pot. Heat over medium heat until it begins to boil. Whisk arrowroot into mixture you set aside. Slowly pour this mixture into the pot on the stove and whisk it in. Reduce heat to low and continue to stir for 2 minutes. Remove from heat and pour into 3 or 4 small containers. Let cool for 15 minutes before placing in fridge to cool completely. While the pudding cools, mix topping ingredients together. 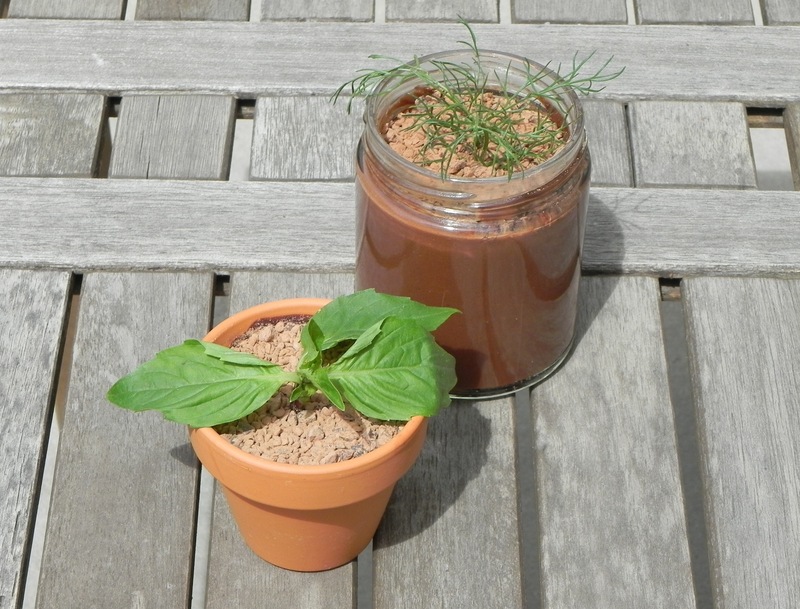 Once pudding has cooled, top with a generous sprinkle of dirt topping. You can add an herb sprig or edible flower to your creation. Note: If using a flower pot with a drainage hole in the bottom, line it with foil prior to adding the pudding. It’s spring and flowers have sprung up. The burst of floral beauty begged to be put into a sweet treat. Chocolate and flowers make a good combination when blended, so I thought I would make some tasty truffles. They would be lovely on a holiday table or in an Easter basket. The recipe I used was already vegan, so I played around with it. It called for coconut milk, but I also made some with soy creamer. The texture of the soy creamer won me over. I chose to mix and match flowers and spices and decided that the original lavender flowers were fantastic but better when I toned down the spices. The mashup of hibiscus and ancho that I threw together was also a winning flavor. The addition of fruit powders in the coating added an interesting layer. So here’s to chocolate, spring flowers, and happy holidays. Place creamer in a small pan over very low heat. Add lavender flowers (or hibiscus flowers and dried ancho) and simmer for 15 minutes, stirring occasionally. Strain out flowers and discard. Put creamer in a bowl. Add agave nectar, vanilla, maca powder, cinnamon, and cardamom and stir well. Melt chocolate chips over a double boiler on medium heat until consistency is smooth and creamy, stirring once or twice. When chocolate is melted, add bowl of infused creamer and stir well. Place in refrigerator until firm enough to scoop, about 5 minutes. 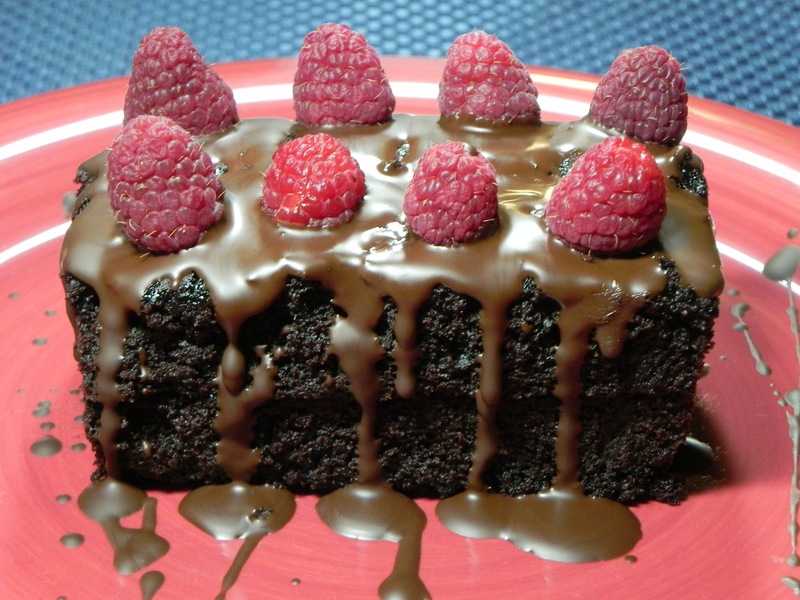 Place cocoa powder and berry powder on a small plate and mix. Using a small scoop, form small balls. 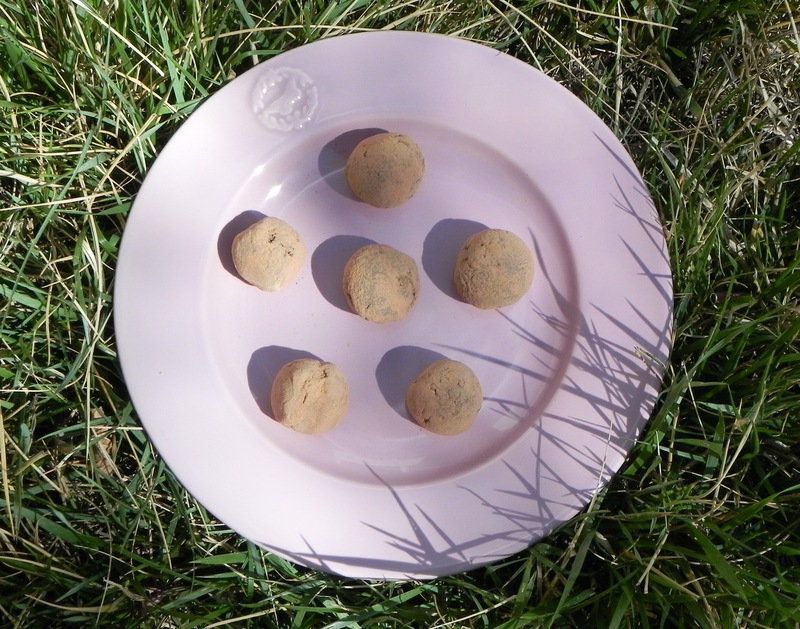 Roll around on plate with cocoa/berry powder to cover each ball with a light dusting. Place on a parchment paper–lined baking sheet. Refrigerate until cool. Makes 20 chocolates. Now that summer has started, the warm weather begs me not to turn on the oven. But, you ask, isn’t this is a baking blog? True, but the heat sometimes wins out. So I’ve decided that occasionally I will post a no-bake recipe instead of a baking tip. That means more goodies to taste and explore. With the outdoor holiday coming up, I have seen a plethora of s’mores recipes across the internet. There were bits and pieces I liked from a few tasty treats, so today’s recipe is an adaption of a handful of them. 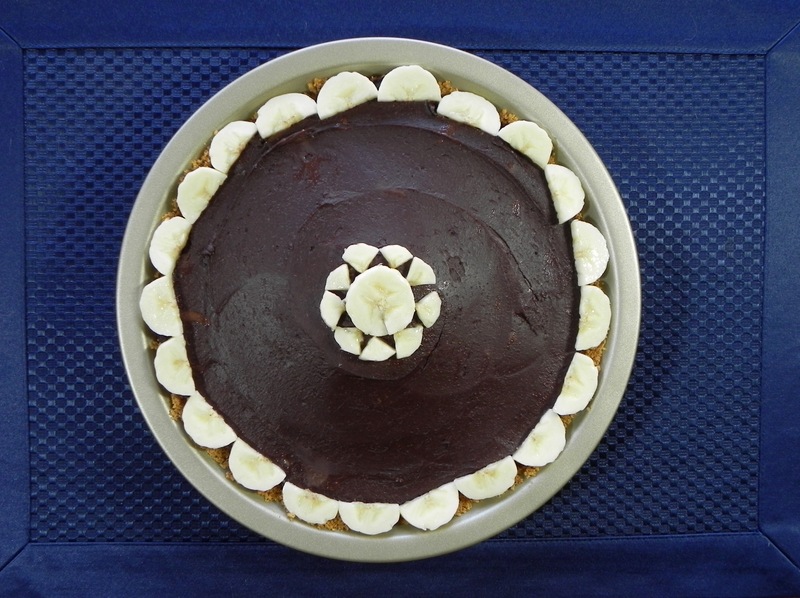 There was no high altitude finesse needed, but at least this no-bake vegan recipe falls under the category of decadent. I dare you to eat a whole one. Place waxed paper on a tray. Place six graham crackers in the tray. 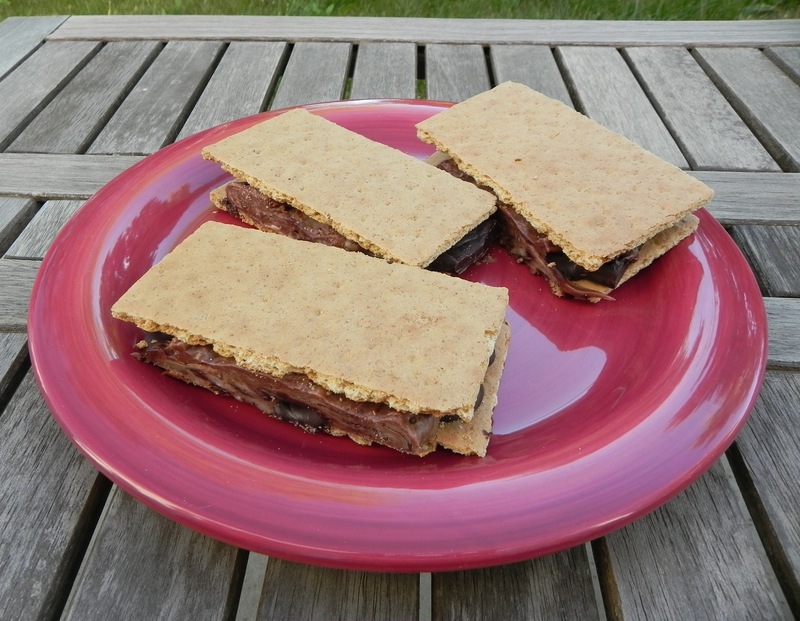 Top graham crackers with chocolate squares. Melt vegan margarine in a large pot on medium-low. Add marshmallows and stir constantly until melted. Stir in vanilla extract. Remove from heat and stir in chocolate chips. Working quickly, pour chocolate-marshmallow mixture over graham crackers in tray. Place six graham crackers on top of crackers in tray. Lightly press top crackers into the gooey mess to make sandwiches. Refrigerate for 30 minutes. Separate sandwiches with a knife if necessary. Store in refrigerator.